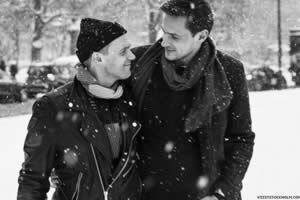 Gay glossy Out Traveler editors on Monday named Sweden its best international destination of 2013; second place went to Spain. “But Sweden's wonders aren't limited to SoFo, Old Town, or any of Stockholm's diverse neighborhoods: there's the legendary Ice Hotel near the Arctic Circle, where guests sleep on blocks of frozen water, and the Kolmarden zoo, the largest wildlife park in Scandinavia,” editors wrote. Out Traveler also noted that Sweden has marriage equality and Stockholm has an ABBA museum and a gay-themed Christmas celebration.